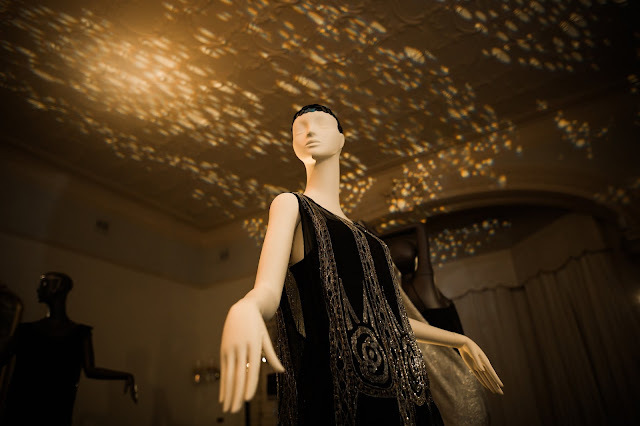 It’s all sequins, beads and sparkles within the magnificent heritage-listed historic house at Melbourne’s Rippon Lea Estate this winter, as The National Trust of Australia (Victoria) has opened Night Life; a fashion exhibition showcasing the glamour of the 1920s and 30s. 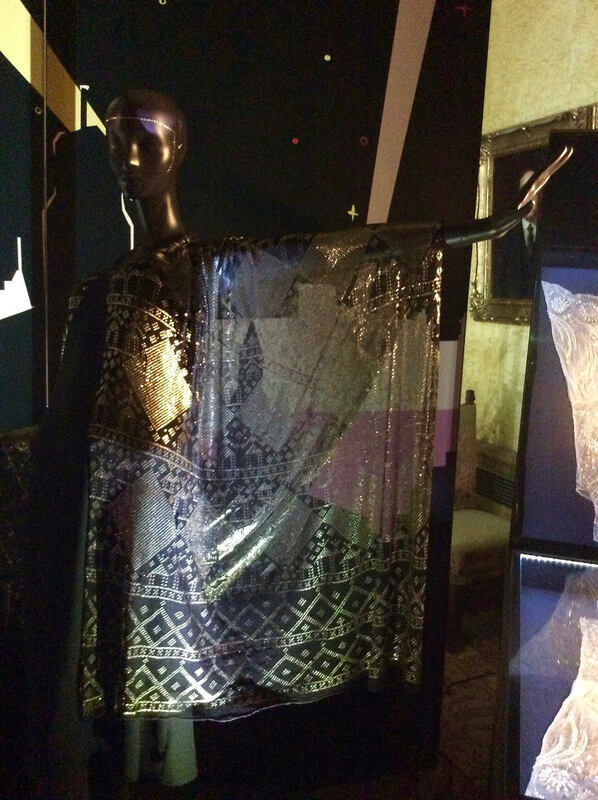 Night Life displays over 50 delicate pieces of evening wear, from a time when local and contemporary fashion labels used silks, velvets, sequins and intricate beading. Over the years, this ornate costume collection of 1920s and 30s fashion, has been acquired by The National Trust Australia (Victoria) via public donation. These luxurious pieces have now come together in a remarkable public display thanks to the National Trust’s curator Elizabeth Anya-Petrivna. Elizabeth conducted research into the grand parties once held during the 1920’s and 30’s at the 19th century Rippon Lea Estate, and believes that showcasing the exhibition in such a historic and magnificent building only adds to the visitor experience, and that it does. On first entrance, walking through a beaded curtain, one can enjoy a sweet little dress up moment by choosing a sequinned gown to frock up in, while imagining a time when our great grandmothers and grandfathers were dancing the night away. Night Life continues thereafter, transporting visitors back to the shimmering night life of the ‘well-to-do’ in Victoria, all those years ago. 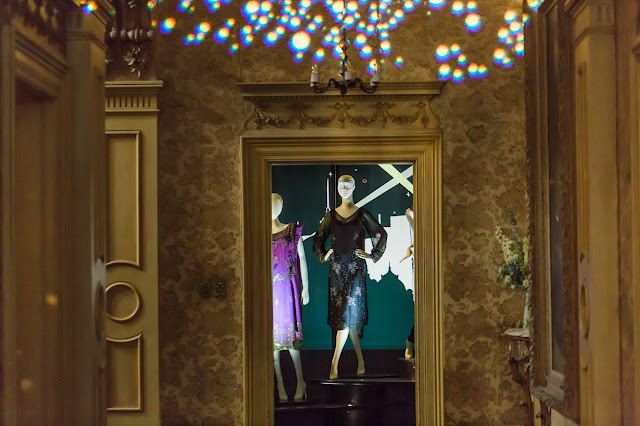 The exhibition journeys through Rippon Lea Estate’s historic house, where each room displays a handful of rare fashion pieces from capes to frocks, shoes to beaded bags, top hats to suits. It is difficult to pick a favourite piece from this exquisite collection; filled with delightful fabrics and glittery materials. I’d have to say my top pick would be this stunning cotton / tin shawl c1922, made in Egypt. Can you see the little camels hidden within the pattern? Stunning. Cotton / tin shawl c1922. Made in Egypt. Can you spot the camels? What I hadn’t released until this point, was how much the discovery of Tutankhamun's tomb in 1922 sparked a global trend for ‘Tutmania', which hugely influenced fashion and popular culture around this time. 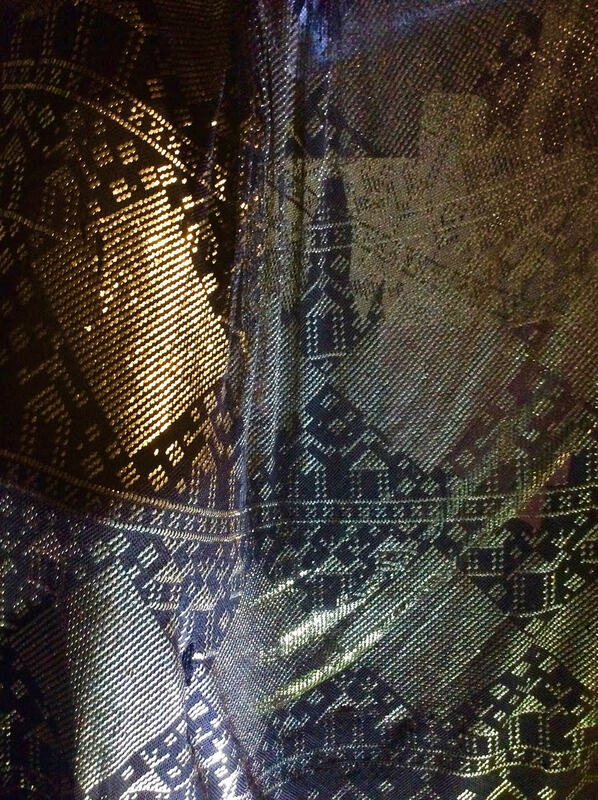 Fashion labels would incorporate Egyptian motifs into clothing pieces, and metals were (pardon the pun) heavily used. 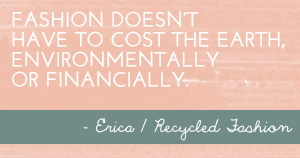 I thank Annabel of Clothe for telling me this! 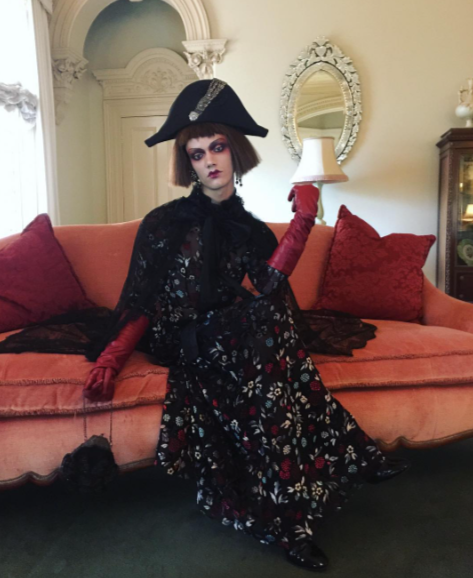 An interesting surprise in this fashion display, is the addition of a contemporary take on 1920s and 1930s fashion, curated by Melbourne’s creatives Domenic Coloca, Olivia Tran, Stuart Walford and Jessica Hood. “Styling the Times” sees 14 looks mixing The National Trust’s own archive of vintage pieces with current Australian fashion. This display combines women’s evening wear and menswear, which portrays an androgynous eye-opening collection. (I liked this a lot). 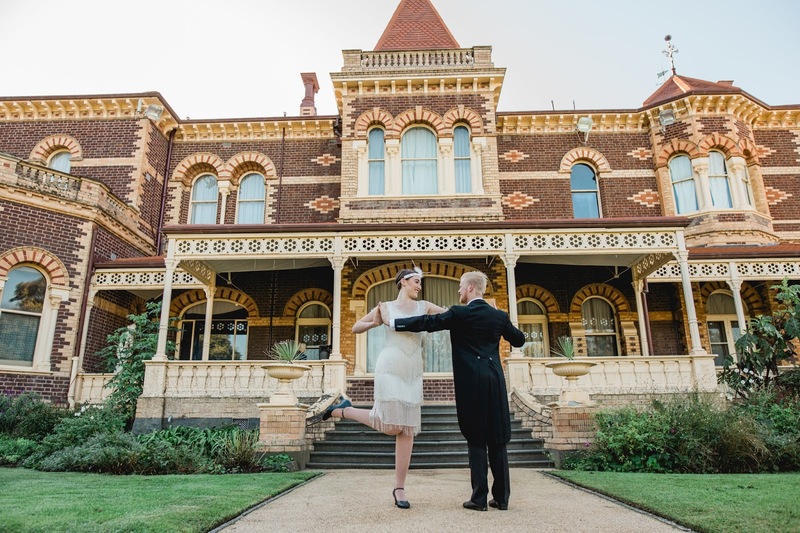 Over the course of the exhibition’s three month duration, there will be a series of events taking place at Rippon Lea including themed soirees, fashion high teas and daytime activities such as design workshops and curator talks. Pay a visit to Night Life at Rippon Lea House and Gardens and be taken back to a terrifically vibrant time in Victoria’s fashion history. 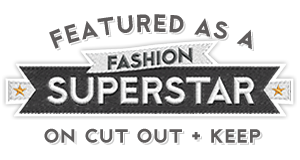 You will be in awe of the workmanship involved in 1920s and 30s dressmaking. Open: Daily 10am to 4pm from 5 May until 30 July. Visit ripponleaestate.com.au for more information on upcoming events and to book tickets. Where: Rippon Lea House and Gardens, 92 Hotham Street, Elsternwick, VIC. Attention good people of Melbourne. 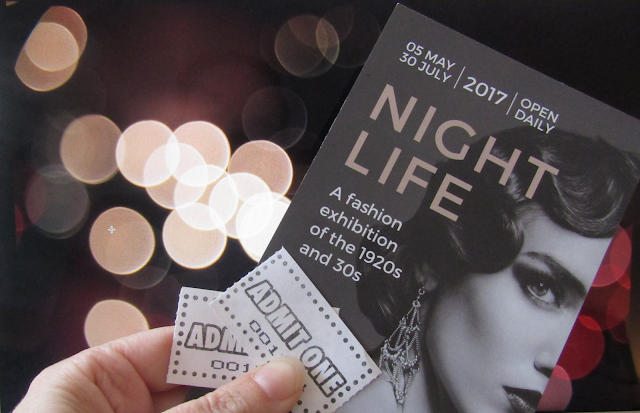 Thanks to the National Trust Australia (Victoria), we have 2 x double passes to Night Life at Rippon Lea to giveaway. To enter, simply like our Facebook post related to this article, and tag who you'd like to take with you! The competition will end Friday 26 May AEST, and the winner contacted via Facebook.